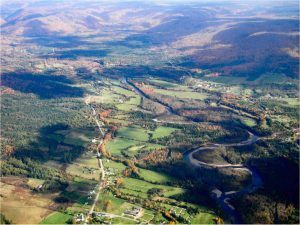 Over the years, several of the Margaree’s salmon pools have been lost or threatened by erosion. One of the objectives of MSA is to protect our river so that we may provide a rich and stable environment for a healthy salmon population. In the past, armour rock has been used to stabilize many parts of our river where Mother Nature has proven to be just too strong. Unfortunately that resource has become far too costly to continue except in a few extreme cases. The new practice is to build log diverters which act in a similar manner to help us correct the problem areas on the river where banks and pools are being threatened by the fierce flow of the river, and to redirect the path of the river to it’s original course. Several areas on the river have already been looked after and we are making plans to continue this work on a yearly basis. Each year priority locations are targeted for upcoming work. As with so many other groups, our association has had to look for funding from other sources due to the virtual elimination of government programs. To help in our cause, please visit the Memberships page where you can provide support to the Margaree Salmon Association by making a charitable donation.